The progress on maternity leave for lawyers has been significant in recent history, and more and more women lawyers are benefiting from law firm policies that are slowly coming into the 21st Century. It is not surprising that the needs of mothers, who actually carry and give birth to the babies, should be the initial focus of parental leave, but the needs of the fathers are finally getting attention, as well. Firms like Winston and Strawn and Orrick, that give both mothers and fathers up to 20 and 22 weeks of paid leave, respectively, are leading the way. Orrick’s policy is based on identification as the “primary care giver” but also gives up to 9 months of leave to that lawyer. Consider this in contrast to the federal Family and Medical Leave Act that requires businesses with 50 or more employees to give 12 weeks of unpaid leave to either a mother or father after the birth or adoption of a child. For more information on how the US compares to other countries on family leave, see my former blog addressing those issues. This progress on parental leave is a big deal. The expansion of parental leave to men not only will benefit male lawyers, but it will benefit families — meaning it also will benefit women. That is the way it is supposed to work. According to a recent article in Am Law Daily, men are not only seeing progress on paternity leave at their law firms but they also are looking for opportunities to contribute to the post-birth care taking. And, they are making a list and checking it twice of firms that “talk the talk but do not walk the walk.” Unfortunately, it has become clear that, even though some firms have developed parental leave policies to include male lawyers, senior management still has not embraced the concept and can be judgmental about men taking advantage of the policies. The associated stigma can have lasting effects on career advancement in some of these firms. 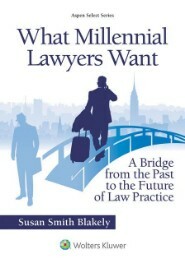 The law profession attracts ambitious lawyers, and the threat of such stigmas is powerful and includes concerns about “commitment” to the practice. That dreaded C-word. 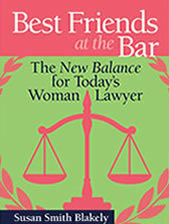 Women lawyer/moms know all about it. We need to celebrate the progress we are seeing. Statistics cited in the article show that, on average, law firms offer 15 weeks of maternity leave and seven weeks of paternity leave and that mothers take an average of 14 weeks off, while fathers take an average of four weeks. These averages likely will increase, and men are now reporting experiences similar to those of their female colleagues, who found it more comfortable to take leave after other women in their firms had forged the way. At the same time, however, we must recognize that it is not all about firms doing “the right thing.” It rarely is. It also is about attracting and retaining top talent. 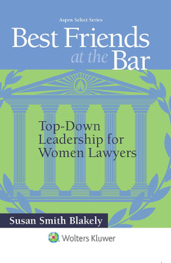 Firms finally are understanding what has been a theme of Best Friends at the Bar for a decade — that it is good business to retain and advance the talent of the best young lawyers — many of them women lawyers. And that is what we all should hope for. Keep your eye on this issue. 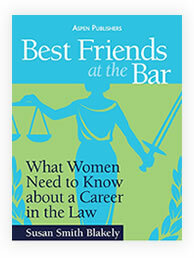 This entry was posted in Career Counselors, Law Firm Managers, Law School Educators, Law Students, Lifestyle, Practice Advice, Young Lawyer. Bookmark the permalink.